How to backup iPhone 7 files to iPhone X/8? Rely on iTunes or iCloud? How about backing up iPhone 7/Plus to computer MacBook/iMac or the external hard drive? If you have no clue which way to go, you're advised to read on the following article to opt for the most ideal way to make a backup of iPhone 7 data to the new iPhone X/8. With the arrival of iPhone X, iPhone 8 and iPhone 8 Plus, many iPhone 7 users who have checked the iPhone 8 vs iPhone 7, iPhone X pros and cons, iPhone X vs iPhone 8 comparison are eagerly waiting to upgrade to iPhone 8 or iPhone X. Wanna make a smooth iphone 7 to iphone x/8 upgrade without data loss or frequently problems of being stuck or frozen during upgrade? Check our side-by-side and follow our detailed guide to upgrade to iPhone 8/X and make a backup of iPhone 7/6 to avoid any data erasing or loss. MacX MediaTrans offers the ultimate way, letting you transfer and copy iPhone 7 music, videos and photos to Mac computer (MacBook Pro, iMac 4K/5K) in batch within seconds! 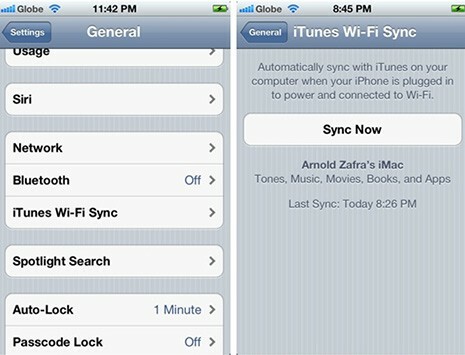 Two-way sync and no headachy iTunes! As a loyal Apple fan, you're supposed to maintain consistency, having an iPhone 7 and a Mac computer, as well. So the first way to strike your mind is to back up iPhone 7 files to MacBook or iMac, as the Mac computer has enough space for your iOS 10 iPhone 7 backup. To back up iPhone 7 to MacOS and transfer iPhone 7 backups to iPhone X/iPhone 8, you need an extra hand. The rising-star MacX MediaTrans fits the bill. This iPhone manager (iOS 11 & iOS 10 or ealier supported) gives you revolutionary management for iPhone photos, music, videos, iBooks, iTunes purchases, ringtones, audio etc. See, it can batch transfer data from iPhone 7 to MacBook Pro or iMac Retina for media files backup and restore to iPhone X/iPhone 8 with seconds just in drag-and-drop. 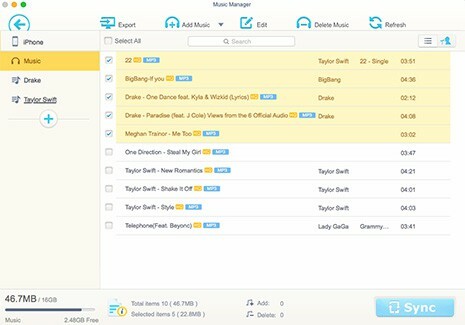 What's better, it can trouble-free manage iPhone 7 files, like deleting iPhone 7 songs/playlists, erase unwanted videos on iPhone 7, auto clean up the repeated files, etc. to free up iPhone 7 space to the maximum. Export iPhone videos to Mac or add videos from Mac to iPhone iPad iPod. Here we take iPhone 7 music backup for instance. If you need to transfer photos or videos from iPhone 7 to Mac for eternal backup, the operating steps are much of muchness. Step 1: Before we call iPhone 7 music backup begin, let's free Download the iPhone 7 backup software on Mac computer (macOS High Sierra, Sierra, El Capitan or earlier supported) first and then run it. Step 2: On the main window, choose the file type you wanna backup, photos, music or video. Here we take iPhone 7 music to Mac backup for instance. Tips: From the picture you can see, the iTunes version on your Mac can be detected automatically. If your iTunes version is older than 11.2, it will note you to update iTunes to 11.2 or higher version. Step 3: After the music icon click, you can see all your iPhone 7 songs are shown here. Choose the songs or playlists you wanna backup by "Shift + left click" for batch selection; Simply, tick "Select All" to backup all songs on iPhone 7. Step 4: Press "Export" button on the upward interface to transfer music from iPhone 7 to Mac computer. Step 5: To restore iPhone 7 backups to iPhone X/iPhone 8/iPhone 8 Plus, remove your iPhone 7 and connect iPhone x/8. Then transfer the iPhone 7 backups by clicking the import and Sync buttons. 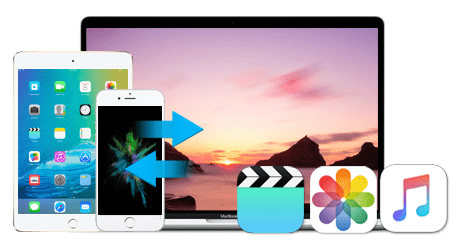 When you apply this iPhone 7 backup & recovery software to backup iPhone to Mac computer, you don't have to wait a lot of time as this iPhone transfer app is armed with Intel QSV hardware acceleration tech to whopping accelerate the video transfer speed, 5X faster than any other iOS transfer tool. Another bonus feature is that if you transfer videos from Mac to iPhone 7 with MKV AVI FLV WMV, etc. iPhone unsupported formats, this iPhone 7 manager will aid you to hassle-free transfer video from Mac to iPhone 7/Plus with built-in video converting feature, one click only, no third-party video converter needed. Thus, you don't need to worry the unplayable issue after you download movies to iPhone 7/Plus/se/6s/6. If you duplicate iPhone 7 data with iTunes instead, you're allowed to do either by connecting your iPhone 7 to computer Mac or Windows or by turning on wireless syncing with iTunes over Wi-Fi. Below shows the complete instructions one by one. Prior to making a backup of your iPhone 7 running on iOS 11/10 to iPhone X/8 using iTunes, you're required to do two preparations. One: close your iCloud on iPhone 7 please. Two: check whether you have the latest version of iTunes (go to Help > Check for Updates). When these are finished, let's cut to the chase. Step 1: Access to iPhone 7's Settings > General > iTunes Wi-Fi Sync and select the computer from the list. Step 2: Choose "Sync Now" if you are ready. Generally speaking, by default your iPhone 7 on iOS 11 will automatically sync when it meets the three conditions: 1. you're not using your iPhone 7 and its screen is locked; 2. your iOS 11 based iPhone 7 is connected to Wi-Fi; 3. the iPhone 7 is plugged into power. Step 1: Connect your iPhone 7 to computer (Mac or Windows) with USB cable and launch iTunes. Step 2: In iTunes, right-click on your iPhone 7 device, which appears in the left side of the interface under Devices category. Afterwards, opt for "Back Up". Then the rest jobs leave to iTunes to finish. Step 3: Then remove iPhone 7 and connect iPhone X/8 to computer. Select restore iPhone 7 backups and transfer the backup from old iPhone 7 to iPhone X/8. Though iTunes is a great option for you to back up iPhone 7 to iPhone X/8, there are still some downsides you need to face when resorting to iTunes for iPhone backup. 1). When using iTunes to manage iPhone 7 music, you need to know iTunes will replace all the previous music files in iTunes and single song backup is unsupported. 2). During syncing with iTunes, it's highly possible to lose the existing media files on iPhone 7/Plus like music that you've imported from CDs, downloaded from website or purchased somewhere other than iTunes. 3). iTunes is running slowly on many computers, and consuming a great deal of system RAM. Hence, you'd better not do other things when backing up iPhone 7 to iTunes. 4). The default saving path of iTunes is the Disk C on your computer. So when you backup iPhone 7 content to iTunes, all your iPhone 7 file datas are transferred to Disk C, which will occupy a great deal of space in Disk C. Heavy burden for your computer running speed. Consequently, when you plan to make a backup of iPhone 7 for transferring to iPhone X/8 via iTunes, you're suggested to think those shortcomings into consideration. Think twice before leap. Lest your iPhone 7 is subject to a fire, theft or damage, you have no excuse for not backing it up. Apple gives you a second free yet simple choice, except for iTunes. That is iCloud. How to use iCloud to backup and restore iPhone 7 photos music videos? Read on please. Step 1: Connect your iPhone 7 running iOS 11/10 to a Wi-Fi network. Step 2: Access to iPhone 7's Settings, then scroll down and tap iCloud. 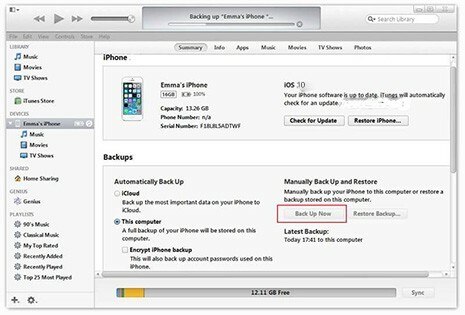 Step 3: Scroll down, slide the button of "iCloud Backup" to the right (the color turns to green). Step 4: Tap Back Up Now. Make sure your Wi-Fi network is smooth until the process completes. Step 5: Check the backup finished: Tap Settings > iCloud > Storage > Manage Storage, then select your iPhone 7 iOS device. The backup should appear in the details with the time and backup size. For using iCloud to back up iPhone 7 data automatically, please check on the complete instruction on Apple support. 1). 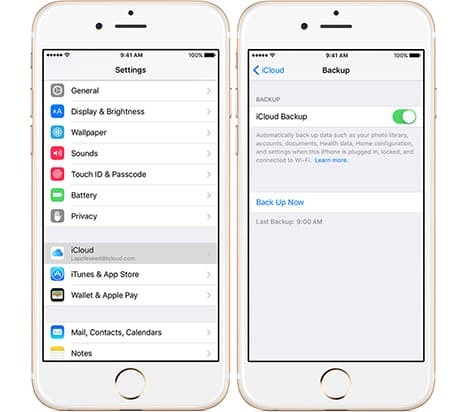 iCloud provides you with 5GB free space for iPhone 7 backup. When you need more memory space, you need to pay for it, $0.99 a month for 50GB; $2.99 a month for 200GB and $9.99 a month for 2TB. 2). iCloud performs not stably during the iPhone files uploading and backing up. Many a user complains that iCloud takes over a week for "uploading photos", iPhone photos uploading to iCloud failed and iCloud backup couldn't be completed now and then. In such case, you'd better to resort to Apple support for professional aids or try more solutions to backup iPhone files. Here this part guides you to backup and transfer iPhone 7 files to external hard drive on Mac OS X so that you can take iPhone 7 files around with a portable USB hard drive. The below part walks you through the iPhone backup to hard drive process. Step 1: Create a new folder on your external hard drive for your later iPhone 7 files backup. And remember to give it a name. Step 2: Open a new Finder window, then tap Command+Shift+G. Enter this in the box that pops up ~/Library/Application Support/MobileSync/ then find the folder named "Backup." Step 5: Now access to iTunes on your Mac and connect your iPhone 7, and backup iPhone 7 as usual. Until then, your iPhone 7 files will already backup to the portable external hard drive. 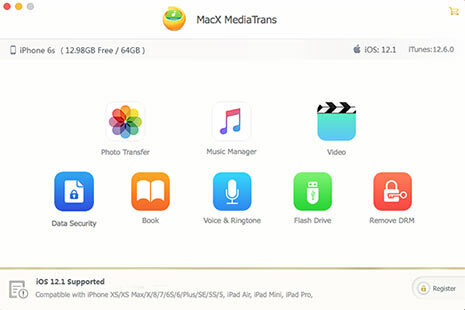 MacX MediaTrans, the world's No.1 iPhone transfer to backup and restore iPhone 7 files (music, photos, videos) to Mac computer and transfer to iPhone X/8 within seconds in drag-drop. Intel QSV gives you No.1 fast speed! No iTunes or iCloud needed!